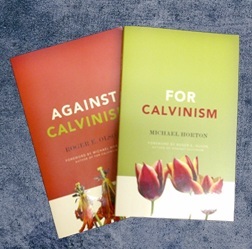 Mike Horton, author of For Calvinism, and Roger Olson, author of Against Calvinism, will join each other in a friendly conversation at Biola University on Saturday, October 15, 2011. Roger Olson discusses his book on The Paul Edwards Program. 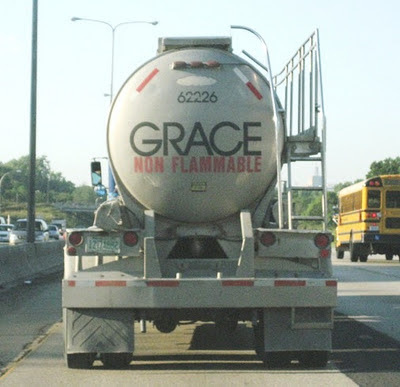 They clearly have more in common with Arminius than with John Calvin but in an effort to remain in the mainstream of evangelicalism, they have chosen to adopt a term that I believe is poorly applied. ... I will give my true Calvinist friends credit, at least you hold firmly to your beliefs and don’t seek to become a moderate Arminian. The Society of Evangelical Arminians blog has posted a rather accurate chart comparing Arminian and Calvinist beliefs. John Piper recounts his experience with racism and Reformed theology. The eternal wonder of three simple words: He saved us.